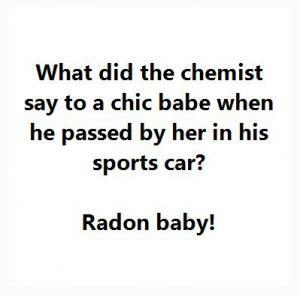 What did the chemist say to a chic babe when he passed by her in his sports car? 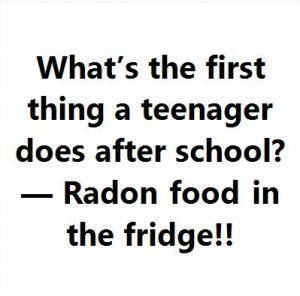 Whats the first thing a teenager does after school? 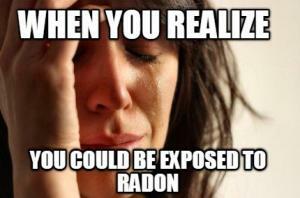 Radon food in the fridge!! t lady: what do you do for a living? 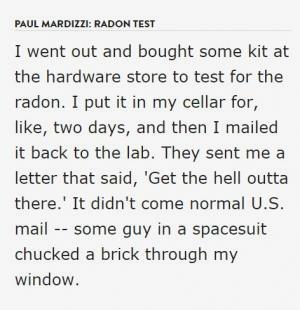 guy: psprus, oxygen, and radon. 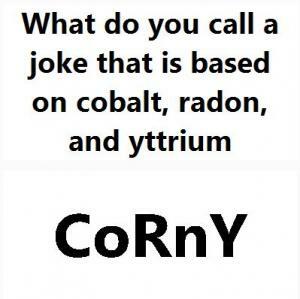 t lady: so you are a chemist? t lady: opra, so opera correct? 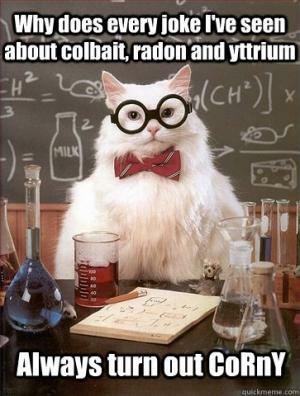 t lady: so, you are a chemistry teacher! guy: (sighs to himself thinking w **** relates to chemistry. 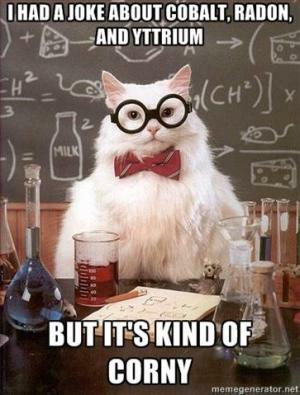 which does in biochemistry, little does he know). 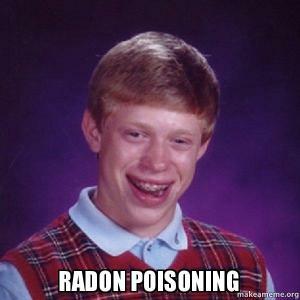 hey girl, are you hydrogen oxygen radon yttrium?